Who: We are a group of professional career IT specialists dedicated to providing small and medium-sized business with every aspect of IT support. In areas of special expertise we provide our services internationally to multi-national corporations, organizations and governements. What: We develop, manage and deploy everything from single workstations to complex work-flows for many hundreds of users per site. 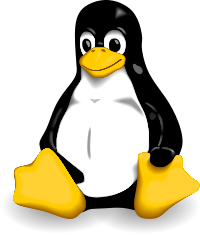 Open Source software on Unix is our preferred platform for rock-solid stability and scalability. We also develop custom web and database software for our clients. When: Our hours are Monday to Fridays 9am – 5 pm. Emergency and after-hours services are also available. How: At Prefix we invest heavily in in-house research and development of IT solutions to determine empirically, how “good” a software package or hardware product actually performs. We do not sell hardware or software. Our clients are provided the very best advice for their needs not what we have on the shelf. We handle all procurement of software, hardware, installation, maintenance and support of new and existing computers, software and servers. We also provide customized training for users from the basics to advanced features of their own workstation and network resources.